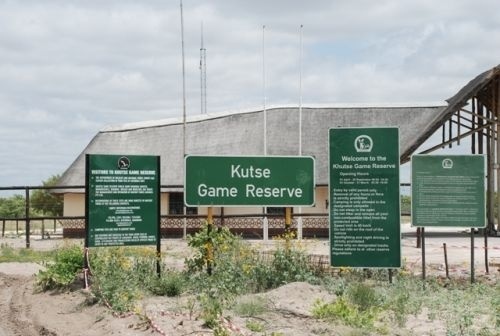 Entrance to the Khutse Game Reserve. There are no fuel supplies in the Reserve itself. There is a small filling station at Lethlakeng, the last fuel stop before you enter Khutse. So make sure you have enough fuel for travelling in the Reserve. 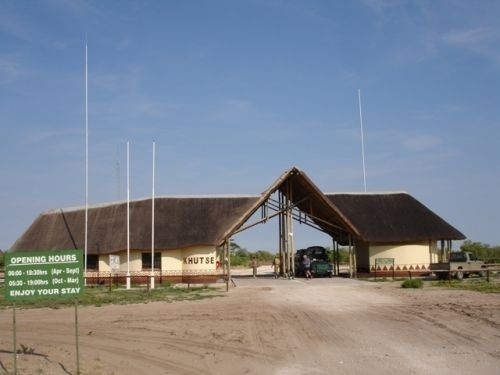 The small village of Salajwe just before entering Khutse has basic supplies and drinks for sale. There are no shops in the Reserve itself. You need to have a reliable 4x4 car. There is no water at the campsites, there is only water at the entrance gate. Bring enough drinking water as the water in the park is salty but it can be used for bathing, cooking and washing. Bring containers to fetch water in the gate then take it through with you onto the campsite.